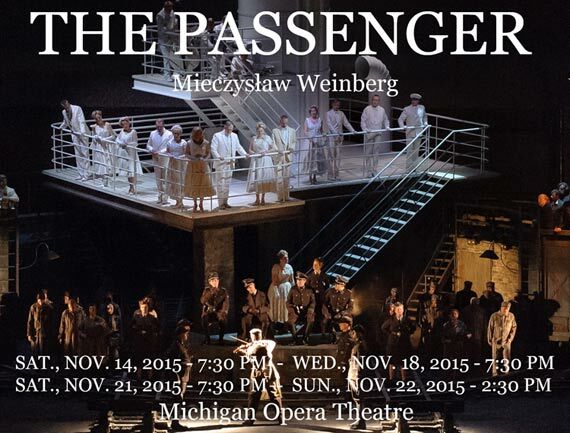 The Michigan Opera Theatre will be producing the opera The Passenger during its fall 2015 opera season. The Passenger was composed by Polish born composer, Mieczyslaw Weinberg, and the libretto is based on the Polish radio play Pasażerka z kabiny 45 (Passenger from Cabin Number 45) (1959) by Auschwitz survivor and novelist Zofia Posmysz. The Passenger is a profoundly important experience on many levels. The opera is the representation of events at the Nazi German camp at Auschwitz, as told by a Polish prisoner and eyewitness. The opera portrays a battle of wills between a Polish prisoner and her SS guard. It is also the touching love story of two Polish prisoners, Marta and Tadeusz. The opera is a tapestry of Polish themes, among them: a gift of flowers, a heroic deception, underground resistance and defiance, faith and a prayer for a noble death, remembrance as a summons to a moral accounting. And the music of Mieczyslaw Weinberg is exquisitely expressive and moving. 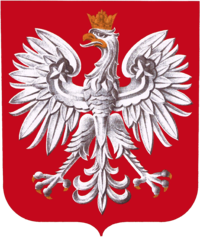 Members of the Friends of Polish Art have met with Dr. David DiChiera, Founder and Artistic Director of the Michigan Opera Theatre, to discuss this production. Dr. DiChiera has asked the Polish community to raise $100,000, a portion of the production costs. Based on these discussions, Friends of Polish Art is excited to spread the word about this opera woven with Polish themes and to encourage all of Polonia to support the production both financially and with its attendance at the performances to be held on November 14, 18, 21 and 22. We are asking for donations toward this worthy cause. Friends of Polish Art has pledged $10,000 in support of The Passenger. Please consider making a donation. We realize there are many ways by which you can spend your money, but FPA encourages you to be generous toward this very worthwhile project. The Friends of Polish Art were treated to a new genre of art to enjoy, the glorious functions and visuals of Polish Felt. 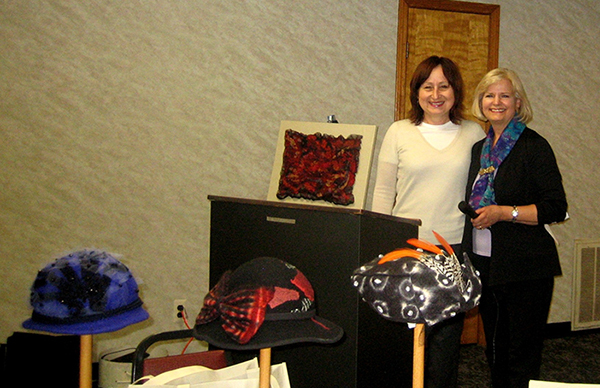 Rayneld Rolak Johnson, Ph.D., presented about the history, fashion and textured felt as an artist’s medium. The strong turnout at St. Anselm’s Parish Hall heard that in Poland, felting has a long and rich history. Felt, both wool and rabbit, is an ancient functional product that was used for clothes, shoes, military accessories and craft-art. Alina Klin, Ph.D. and Rayneld Rolak Johnson, Ph.D., both educators at Wayne State University presented at the recent Friends of Polish Art event in suburban Detroit. Her appreciation and vast pallet of art information generated many interesting questions including the construction techniques of millinery felt presentations. She also touched on her award winning textured textile piece, “Maui Sunset”, which was featured at the K-Mart headquarters in Troy, Michigan. A native daughter of Detroit, Johnson was recognized with her fashion prowess early and while in high school, she received from Governor William Milliken, the Michigan State Fair-Best of Show acknowledgment for the entire State Fair. This special blue ribbon award was for an apparel design and garment construction that she had entered. This was the only time in over 100 years of competition, at the Michigan State Fair, that a garment received this special designation. She was also an honored award winner at the national convention of the National Wool Council in San Francisco. She started her Art and Textile instructing at the University of Detroit-Mercy. 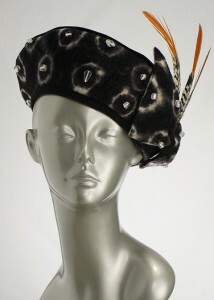 Currently at WSU, her course specialties are the history, design, production and merchandising of apparel and textiles. She has focused research on the social, historical, economic and psychological factors influencing design and trend development and was selected as a research fellow by TC2 Textile Clothing Technology Corporation. Also, Johnson has published on learning theory and instructional design and is accomplished with cutting edge trends such as avatar fitting simulations. Of late, Johnson has been the costume consultant on some Michigan film productions. Most recently she was regional director of The Fashion Group International and is an active member of the Michigan Surface Design Association. The Friends of Polish Art announce that applications are now being accepted for the 2015 Frank Filipek and the Lillian & Chester Mitchell Fine Arts Scholarship beginning January 15 until April 1, 2015. Through the generosity of the late Frank Filipek of Battle Creek, five $1,500 scholarships are available for academic studies in such areas including but not limited to: law, medicine, architecture, engineering, sciences and the liberal arts. This year, two $1,500 awards for the Lillian & Chester Mitchell Fine Arts Scholarship are available for students pursuing studies in painting, sculpture, music, drama, theatre, dance and other forms of creative expressions as well as history, literature, religion, philosophy and Polish Studies. Are you a closet writer? Always wanted to see your name and creation in print? Here’s your chance. Friends of Polish Art (FPA) is proud to announce that it is sponsoring the 2014 Estelle Wachtel-Torres, MC Literary Competition formerly known as the FPA Short Story Competition. The competition is open to all Michigan residents of Polish descent who are at least 18 years old. Participants may submit up to two entries on any subject they wish. Entries may be short stories, poems, or essays limited to 5000 words and must be the original work of the author that has never been published or won an award in any other competition. The entry fee is $15.00 per person. Deadline for entries is April 26, 2014. Winners will be notified by May 10, 2014 and announced at the annual FPA General Membership Meeting on May 16, 2014. This year a new prize category of Best Polish Theme has been established along with renaming the First Prize Winner the Estelle Wachtel-Torres, MD Grand Prize Winner. Besides monetary prizes for the winners, excerpts of may be published in the Friends of Polish Art Newsletter and/or be put online at the Friends of Polish Art website. The Friends of Polish Art announce that applications are now being accepted for the 2015 Frank Filipek and the Lillian & Chester Mitchell Fine Arts Scholarships beginning January 1 until April 1, 2015. Through the generosity of the late Frank Filipek of Battle Creek, five scholarships are available for academic studies in such areas including but not limited to: law, medicine, architecture, engineering, sciences and the liberal arts. There are five (5) taped shows available on Podcast RSS, of which I Leonard T. Zabawski appeared on behalf of FPA on 7/14 & 7/7/12, you can listen to the shows online (see links below). We recommend to check all five shows to gain the flavor of current Polish Magazine team.